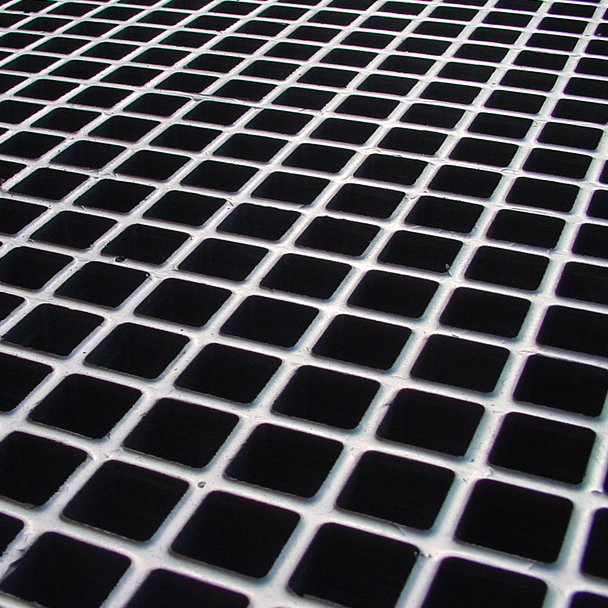 Conductive Top Grating. Specially formulated with a carbon black surface, when electrically grounded will eliminate the build-up of hazardous static electrical charge. 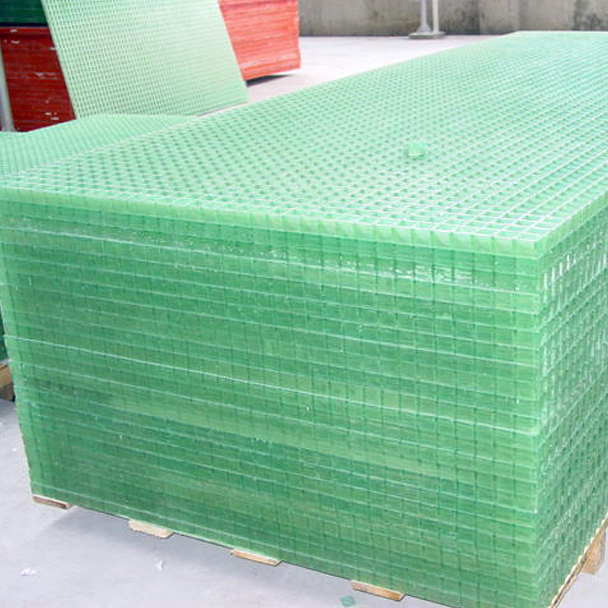 Translucent Grating. The use of clear resin types during manufacture offers a degree of translucence to a finished product and an overall appealing aesthetic, which is not normally identified with an industrial grating. Specially formulated with a carbon black surface, when electrically grounded will eliminate hazardous static charge buildup. Available with all resin types and used in a variety of industries: electronics, petrochemical, munitions manufacturing plants/arsenals, other spark-sensitive environments and workplaces zoned under DSEAR 2002. The product is also employed where equipment could be damaged due to static electricity discharge. 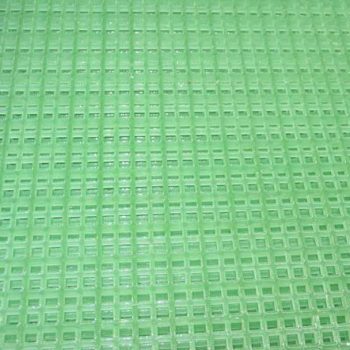 The grating has a maximum electrical resistance of 26 kilo-ohms per 300mm. 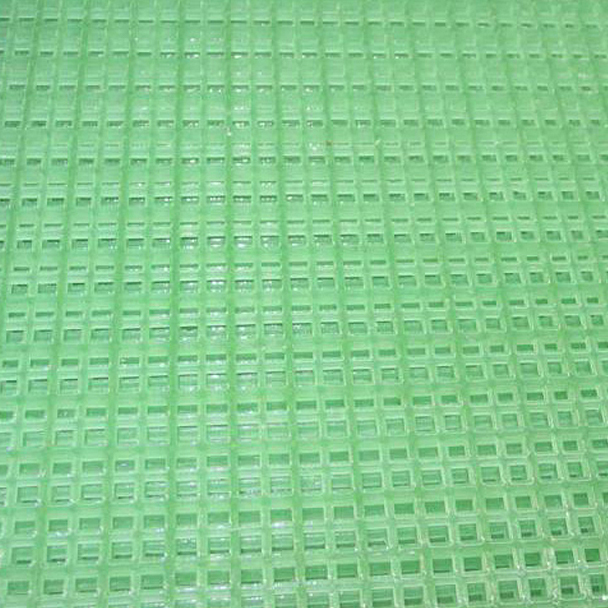 The use of clear resin types during manufacture offers a degree of translucence to a finished product and an overall appealing aesthetic, which is not normally identified with an industrial grating. 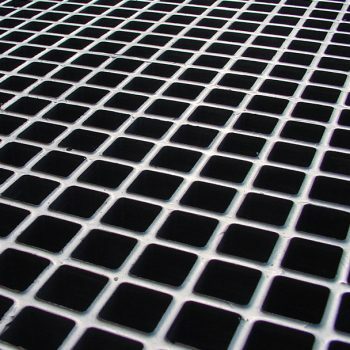 These gratings are worthy of consideration when incorporating into architect designed spaces and have a pleasing tint of colour. The relatively light weight of the product makes transport, handling & installation far easier than metallic gratings. Panels may be cut to size before delivery to site for immediate installation, or cut in-situ using diamond tipped tooling and resealed using approved resin top coat. Both these product types are available to order from the factory.